Our gourmet fruit baskets are a great gift idea or party favor for the holidays. Whether it be Thanksgiving Dinner, the eight nights of Hanukkah, a Christmas party or someone's Birthday. All baskets are uniquely designed by us & made with top ingredients. 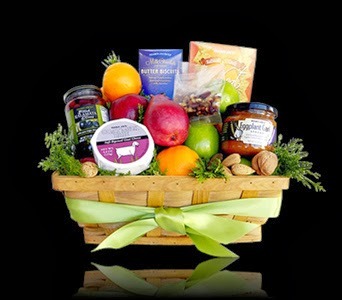 Browse all of our gourmet fruit baskets.